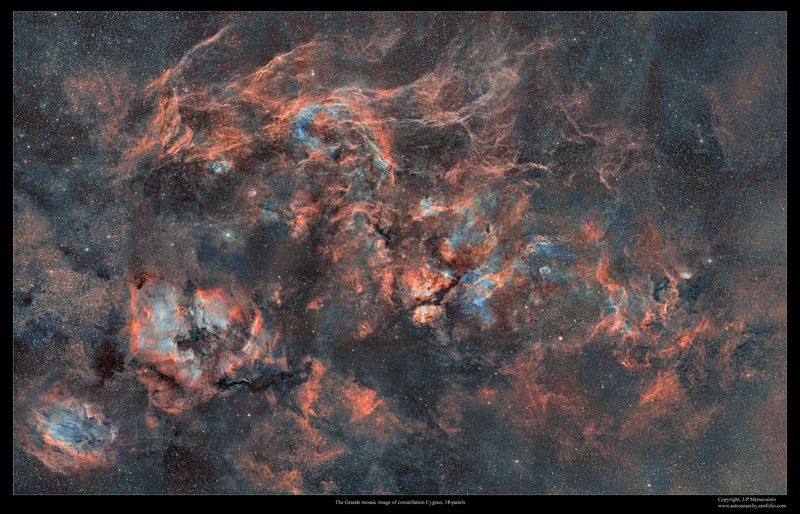 Yesterday I published a mapped color version of this nebula complex, here is the version in visual spectrum. I have originally published this image back at December 9, 2011 After that I have shot many details out of this are of sky with much longer focal length instrument. 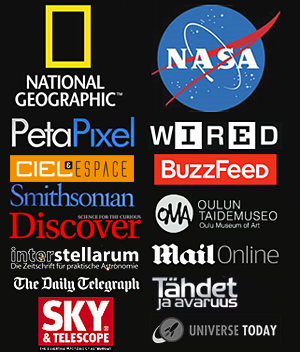 Mainly with Celestron Edge 11" reflecting telescope. I have now updated this photo with a new image material and I thought, that it's a good time to republish this updated image again. 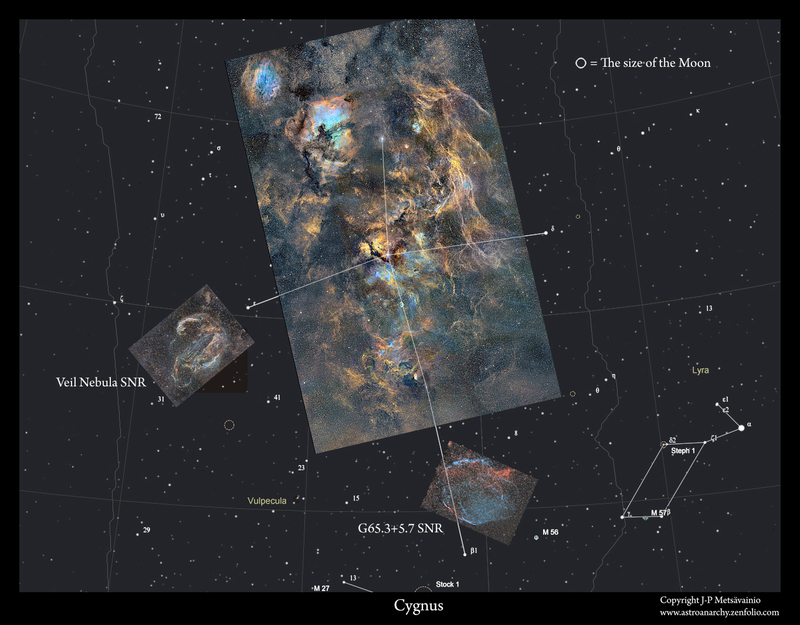 The Great mosaic image of constellation Cygnus has 18 individual panels stitched together seamlessly. Each panel has shot three times for a color image. First I shot the light from an ionized hydrogen (H-alpha), then light from an ionized sulfur (S-II) and last the light from an ionized oxygen (O-III). The final image has a resolution of 15.000 x 10.000 pixels. 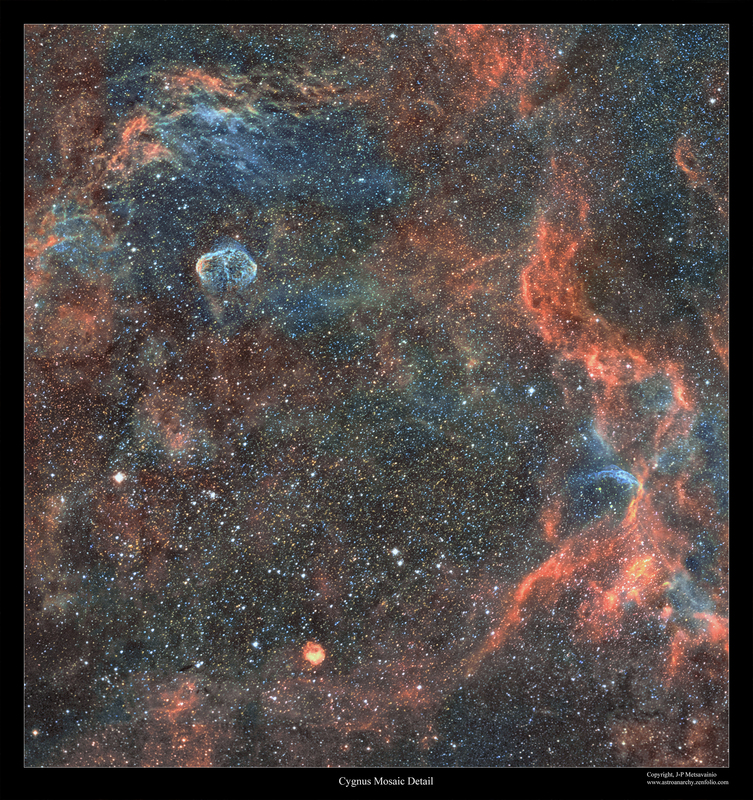 I shot all frames with the Canon EF 200mm f1.8 camera optics at full open, QHY9 astrocam and Baader narrowband filter set. 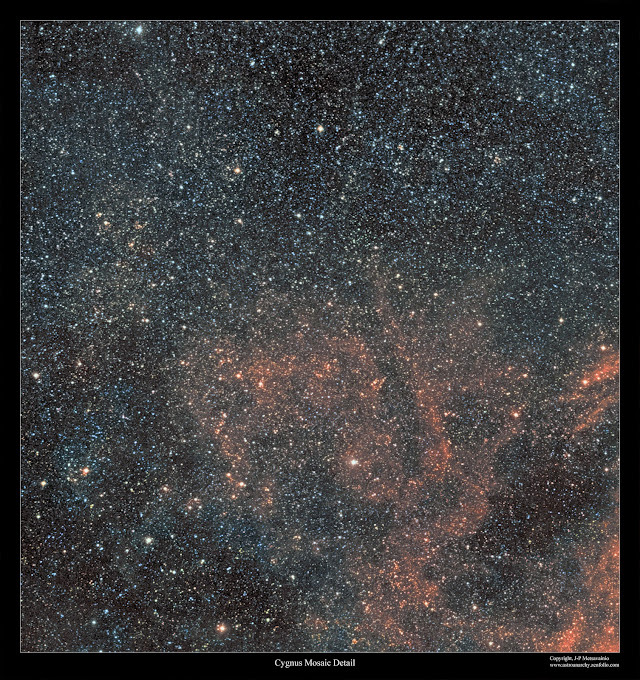 Image is in Natural color palette from the emission of ionized elements, R=Hydrogen + Sulphur, G=Oxygen and B=Oxygen + 10% Hydrogen to compensate the missing H-beta emission. A full 1:1 scale detail from the upper left corner of the mosaic image, lots of stars up there! A full 1:1 scale detail from the middle right of the Cygnus mosaic image.